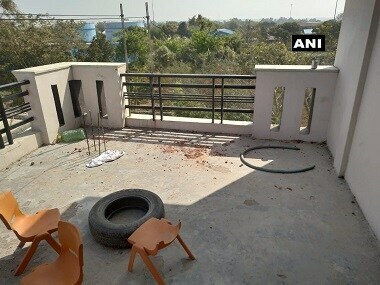 Gurgaon: Two days after members of a Muslim family were beaten up by a group of men, tension prevailed in the area even as police arrested six accused. Deputy Commissioner of Police (DCP) Himanshu Garg said patrolling and deployment of police had been strengthened in the area to avoid any untoward incident. The community members assembled outside a house of Shamshad that was attacked by a mob. The DCP said a heated argument broke out between youths of two communities after a cricket ball hit a person. "Following that, a large number of drunk men assembled at the house and attacked with batons, swords, iron rods, water pipes and hockey sticks. They have beaten four persons, until one of them identified as Shahid, became unconscious. He, along with others, received head injuries," Garg said. The police have nabbed six people on the basis of video footage shot by one of the family members from third floor of the building, but local police officially arrested one of them, identified as Mahesh Kumar.